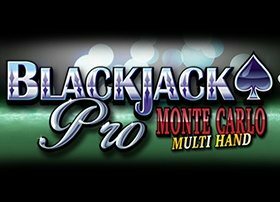 The name of the game may sound like a mouthful…But Premier Multi-Hand Bonus Blackjack at Luck’s Casino is actually a relatively simple game. This is what it’s appealing to both veteran Blackjack players and newcomers alike. 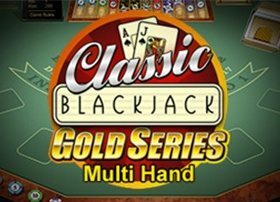 This top of the range classic casino table game offers a regular online Blackjack experience with an additional optional Blackjack Bonus Bet. Spin for free in demo mode or place a real money wager to see if you’ve got what it takes to beat the dealer – or play for free using your welcome casino promos slot bonus. 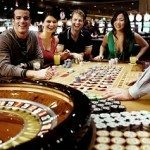 Whether playing for fun in demo mode without any risk, with £5 no deposit casino bonus or in real money casino games mode, the standard of gameplay is exactly the same. 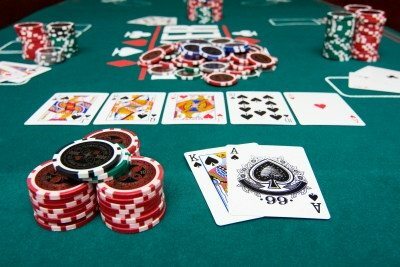 However, playing Premier Multi-Hand Bonus Blackjack for real money allows players to place wagers to win a cash prize worth up to 50 times the wager. The game is composed of an impressive array of customisable settings that includes: Music, ambient sound, a soothing female voice to congratulate you when you score at Blackjack, auto re-bet functions, strategic display, and different card types. A more realistic in-game experience is achieved through this game. Players are also entitled to bonus rounds of play. Premier Multi-Hand Bonus Blackjack is also added with a recognisable easy-to-navigate chip selector in the bottom left corner of the screen. The table allows a minimum bet of 1 credit (or £1). This offers an easy entry to beginners, though more seasoned players can bet as high as 200 credits (or £200) by using the Expert’s Mode Tab on the credits balance bar. The Blackjack Bonus Bet on any given hand must be placed before any card is dealt. This bet is the one that will win you a prize if you get a winning hand which meets certain criteria. The criteria required to land a Bonus Bet prize, and the their possible payouts includes; Jack and Ace of Spades with payout of 50:1 and Jack and Ace of Hearts, Diamonds or Clubs with payout of 25:1. Two other cards of the same suit have a payout of 5 to 2. 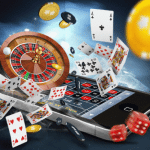 Play Mobile Blackjack Online to Win Cash Money and Have Fun at Gambling on the Go! 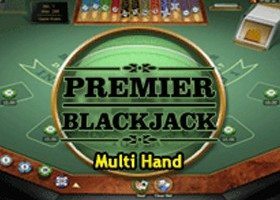 Premier Multi-Hand Bonus Blackjack uses two decks of playing cards and gives you a chance to play up to five hands simultaneously. On the table there are five circles which show the dealing positions of each hand. Each of those circles contains a smaller circle which is used for the Bonus Bet option. Bets are made by positioning the chips in the larger circle for each hand you want to play. If you feel like placing a Bonus Bet on one or more hands then you place a Bonus Bet stake in the smaller circle. Gottit? Good! 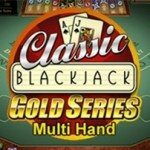 Now, join the Premier Multi-Hand Bonus Blackjack fun and start playing! 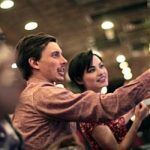 Even if table games such as Blackjack aren’t quite ‘your thing’ there are hundreds of exciting mobile slots games available too! Enjoy these and more at Lucks Casino with up to £500 cash match deposit bonus when playing for real money.